Can PNG Air Help Spur Tourism in Papua New Guinea? Air travel is a vital part of transportation in Papua New Guinea. A country with few highways, impenetrable forests and sometimes-dangerous waters, PNG remains underdeveloped, in part because it is simply too difficult to get around. Media coverage of the country is either sensational (urban crocodiles, subsistence farmers who battle their rivals with spears, rumors of cannibalism) or focused on charity (David Beckham made headlines by visiting the country on behalf of UNICEF). No one focuses on the reality of PNG: this is a poor, underdeveloped place that has lots of potential for tourism and airlines and hotels that are trying hard to become more successful. A handful of travelers have tried the eco-travel opportunities, world-class diving, surfing, and cultural tourism experiences here, but most folks stay away. The problem with PNG as a travel destination (and also a place for business and investment) is that you can't get around very easily. This is part of the allure for people who choose to come here. They like the sense of adventure that comes from sleeping rough and relying on transportation options that are basic and unreliable. To become anything more than an adventure destination, however, Papua New Guinea needs to develop its domestic air travel industry. That is exactly what PNG Air is trying to do. The company recently decided it was time to rebrand. It was born as Airlines PNG in 1987. The focus was on charter service until the late 1990s, when the carrier began commercial flights. Soon it was competing on domestic routes with the only other major airline in the country, Air Niugini. PNG Air's rebrand will focus on customer service and on the airline's overall quality, structure and image. The company's chairman, Murray Woo, wants to transform his carrier, but he knows this will require doing more than putting in orders for sleek new airplanes. PNG Air is ordering new aircraft. The ATR 72-600 turbo-prop planes that will become the backbone of the fleet by 2020 are hardly sleek. However, they are the perfect plane for expanding domestic service in New Guinea. Most of the domestic routes here have airports that cannot accommodate jet aircraft. Not only is this particular prop-driven model the best plane that can fly to every one of the airports that PNG Air currently serves, ATRs are cheaper to maintain than their jet-propelled kin. Moreover, these French-and-Italian-made craft are an improvement over PNG's current fleet of aging de Havilland Dash 8s. PNG Air's fleet and brand image will get a makeover, but so will the airline's ownership structure. The goal in doing this is to make certain that all the finances are transparent and the ownership is PNG-based (as opposed to overseas investors having a controlling stake). The two biggest players in the airline are the country's Mineral Resources Development Company (41 percent) and a pension fund called Nasfund (40 percent). 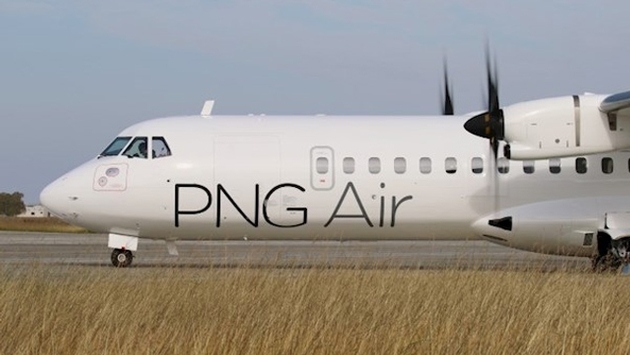 Affordability is another key to PNG Air's makeover. 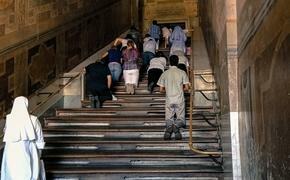 The plan is to continue offering reasonably priced flights, so that domestic fliers and tourists can move around cheaply. PNG Air and Air Niugini can't single handedly make their nation a mainstream tourist destination. However, PNG Air's makeover shows that things could be headed in the right direction. Usually, people start discovering a destination and then its domestic airlines realize that they need to improve. It seems to be happening the other way around for Papua New Guinea. If and when more businesses and leisure travelers start coming to this country, they will find an airline that is ahead of, not behind, the pace of development. That could do a lot for the image of PNG as a whole.